The view when you leave Fort Tarsis for the very first time. One surprising thing about the Anthem demo was the story mission. It’s a weird feeling to say that a game about hunting loot had a good story that made me want to know what would happen next. The demo featured an interesting story arc given by one of the NPC’s Mathias who, well I won’t spoil much, experiences something that really makes him feel torn. Here’s hoping the entire cast is as interesting as Mathias. Having good voice acting and a well realized character made me feel invested in the world instead of running around empty hallways that had more life than the characters themselves. I hope this trend continues in the final game: I don’t need award winning character development, I just need something that makes me feel invested in the world. The Ranger, Anthem’s default javelin and your first taste at the ranger life. When you first get your hands on the default Javelin, the Ranger, you get to experience what Iron-Man must feel as you nose-dive off the cliffs of Fort Tarsis. It’s a thrilling, liberating feeling; but it’s not at all how the other suits feel. Each In the VIP demo you get the choice of picking one javelin once you reach level 12; in my case I chose the Colossus, or what I like to call the sci-fi dad-bod simulator. While the Ranger is a nimble suit of sci-fi goodness, the Colossus is a battering ram strapped to a rocket going wherever it wants. That’s when it hit me, the two javelins felt unique from each other. The open-demo allowed players to experience the rest of the javelins; the ninja-esque Interceptor and the elemental based Storm. Each of the four javelins felt different from each other, with their own handle and feel that made switching between suits meaningful. The Colossus, a.k.a. Sci-fi Dad bod simulator. The Storm (If you’re a fan of Aang from Avatar: The Last Airbender, this is the javelin for you. While the Javelins are a delight to pilot, the game-play does have some drawbacks. When it comes to the actual combat, shooting feels like a second thought which is strange considering this game is indeed a “loot-shooter”. It’s basically in the name. That being said, the shooting I feel plays second fiddle to the real star of the game-play; the abilities. Anthem is all about the kind of build you create dependent on stats juggling across your components, abilities and weapons. My colossus was buffed in strength and focused on ability cool down, allowing me to raise my shield when I was fired upon, switching between my defensive capabilities and my offensive abilities like my mortar and rail-gun. When you include the combos you can pull off either solo or with team-mates, the game becomes a thrilling journey to discover the perfect build for your javelin. A regular view in the world of Anthem. Anthem is a stunning world with beautiful flora and interesting fauna dotted across its vertical world. The first area in the demo Is limited but gives us a good look at the varied landscape, alternating elevation levels, beautiful waterfalls and even underwater areas (which unfortunately is a torment to navigate at the moment). Anthem is a world that feels alien, except for a few areas where you look close enough and notice some truly awful textures, especially the buildings scattered in the otherwise lush and beautiful world. So far, however, the world does feel a little empty. While there is wildlife roaming around, they seem to be just “there” and not reacting to the world or have any sort of discernible patters or behavior. The structure of the open world is great, I just hope BioWare gives is enough reasons to explore it. If there was a sprint button to run to my Javelin and leave, I would. When you’re not flying about in the open-world, you’re walking ever so painfully around Fort Tarsis, the home base of the freelancers. While the city is beautiful to look at it, I can’t help but feel a bit underwhelmed by it. The markets are filled with NPC’s walking around attending to their own business which static and scripted devoid of anything organic. Mass Effect and Dragon Age: Inquisition gave you a reason to walk around the Normandy and Skyhold respectively; so far, I don’t find a reason to walk around Fort Tarsis other than to fiddle with my Javelins look. This experience is significantly more painful when you have no option to sprint around the world: In real life I can walk faster than what the hub world suggests, and I’m pretty sure I’m not nearly as fit as a freelancer. Here is where the two areas really differ, the sound design. When you’re out in the open-world, Anthem sounds alive. Hearing a roaring waterfall above you while you’re getting shot at by the Dominion, dashing and flying away all sounds well realized. The guns could be a bit punchier, but the abilities and supers sound great. Then we have Fort Tarsis which sounds like a ghost town. The amount of ambient noise missing from the areas outside of the market is troubling; I want to feel like I’m walking through a dense world not an abandoned mall. Maybe I’m being too picky, but even more than the visual fidelity of a game, the sound design is crucial in nailing the feeling that you’re in a living, breathing world. Then there are some noticeable sounds issues persistent in both the VIP and open demo which can feel a bit jarring especially mid-fire-fight. Time to play some Anthem, if it loads (and doesn’t crash). I’m excited for Anthem but there is a laundry list of things that need to be improved. As mentioned earlier, the VIP demo suffered issues such as constant crashes (of which I had about eight of), infinite loading screens (made a sandwich and it was still loading), rubber-banding and disconnects. It was a mess, no way of sugar coating it. BioWare has been aware of the many issues that plagued the demo, and here’s hoping it’s just the growing pains of kicking-off a shared world universe and won’t persist at launch. 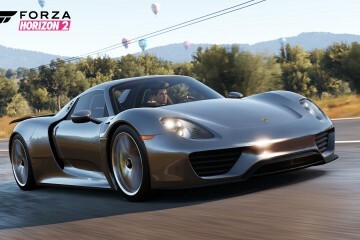 The open-demo did solve some of the issues from the VIP demo, but it’s by no means perfect yet. 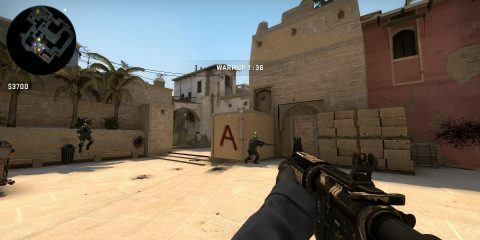 Also the game seems to be an absolute performance siphon: I have a pretty powerful PC and there were some rampant fluctuations in certain situations. On top of that, I also tried the open-demo on the Xbox One X and it was running quite poorly with sub 30 frames with various dips in open areas and firefights. Hopefully these performance concerns are remedied before launch. The other issue that may arise is the way Anthem, or EA in this case, will handle monetization. I’m not jumping on the EA hate train, but they are known to be the type to nickel and dime an experience. When Star Wars: Battlefront 2 launched, the game was hit with significant criticism for its monetization strategy. Luckily, they did reverse their decision and my greatest hope is that they stick to their original plan for Anthem: to have micro transactions for just cosmetics, but that’s a whole other issue. In the demo itself, the pricing was 25 coins per item but it stated that it does not reflect the final economy. 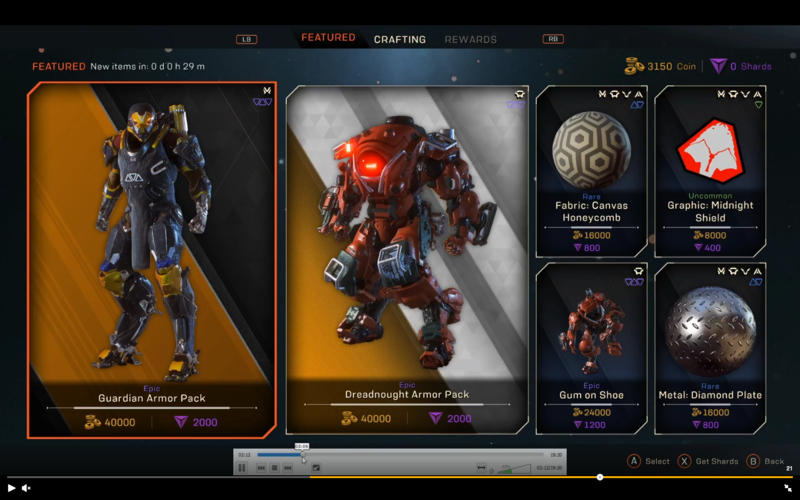 According to an image on Reddit that has captured the attention of press and YouTuber’s everywhere, Anthem’s microtransactions are already causing a whirlwind of anger and confusion. At this time, it is really important to note that this is NOT representative of the final game; that is something we will have to wait and see at launch. Hey there! One thing to keep in mind is these don’t represent final, stamped for all of eternity pricing. We are iterating on our economy design and balance almost daily, so you’re seeing a snapshot of one iteration. This is why we tend to not discuss things like pricing, because it’s one of those iterative things that’s sure to change frequently right up until the day you play the game. 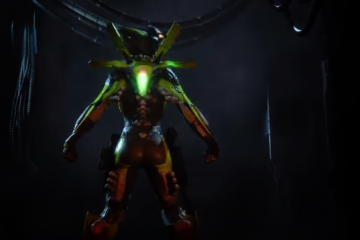 The launch of Anthem is coming up fast, and after my time with the demo I am quite excited for it albeit a little cautious. BioWare is a very dear company to me and even though this departure from single-player to loot-shooter is still something I am coming to terms with, what I played was fun and reminiscent of what makes BioWare great. I don’t expect it to be the story-telling powerhouse that is Mass Effect 2, but I do expect to have a great time in an ever-expanding world with a story that so far, has my attention. Lets just hope the final experience is not as messy as the demo; a game is only as good as its potential if it actually lets youA play it. Anthem launches on February 22, 2019 on Xbox One, PlayStation 4 and PC. This impression was based on a PC experience: Intel® Core™ i70-8700K CPU @ 3.70GHz, 16 GB Ram and Nvidia GTX 1080TI. I just hope this doesn’t pull BioWare away from things like Mass Effect and KOTOR (please please please) for good. But EA has a tendency for ruining franchises and then shuttering the studioes.